The annual Adivasi Mela showcases the art, artefacts, culture, tradition, and music of the tribal community. The Adivasi Mela strengthen the livelihood of the tribal communities by creating a sustainable market and business opportunities for tribal artisans. The Jiban Sampark Project undertaken in association with UNICEF aims to generate awareness among Particularly Vulnerable Tribal Groups (PVTGs) in Odisha on various development and welfare initiatives of State Government, especially on women and child welfare. The category of the PVTGs was created with the purpose of enabling improvement in the conditions of certain communities with particularly low development indices. A separate category of PVTGs was constituted based on the recommendations of the Dhebar Commission in 1975. PVTGs are identified by the Union Ministry of Tribal Affairs based on the recommendations from the state governments or Union territories. The highest numbers of PVTGs are found in Odisha. Q. 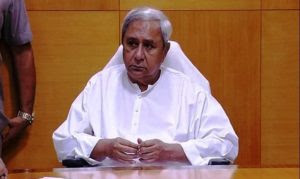 The Chief Minister of Odisha announced which project of Odisha for the welfare of the Particularly Vulnerable Tribal Groups at the annual Adivasi Mela-2019?